” President Donald Trump’s Week 3 in Office – February 6 – 10, 2017 – Key Actions List and his retrait ” – February 10, 2017. 1. With the 9th appellate court (three judges) ruling 3 – 0 suspending the President’s ‘Travel Ban Order’, giving the president a big setback, and relieving the citizens of 7 countries mentioned in the ban order to resume travel to U.S.A., the complexity of the situation has engulfed the talk this week among administrators, lawyers, experts on immigration, media, and the general public. 2. President Donald Trump expressed his view that there will not be any appeal to the Supreme Court on this suspension. 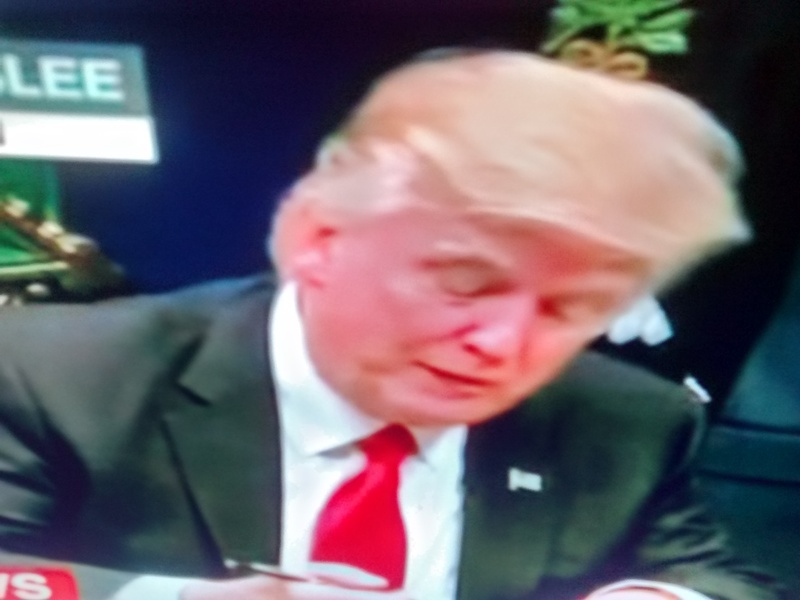 New Executive Order is a possibility according to him. 3. Japanese PM Shinzo Abe visited Washington in a gesture reflecting the bond with U.S. as unshakable. Strengthening of U.S. – Japan relationship is on the cards. 4. President Donald Trump spoke with Xi JingPen of China indicating that he will honor the “One China” policy. 5. Tom Price is confirmed as HHS – secretary. 6. Iran’s President expressed his readiness to stand up to amateurs in office in U.S.A.
7. U.S. investigators even while corroborating some aspects of the Russia Dossier, could not pass any final judgment whether it contained any compromising information on President Donald Trump. The heat of the discussion on immigration and the Travel Ban Order being suspended seem to alter the prevailing equations on relationships and make for interesting but uncertain turn of actions in the weeks/ months ahead. Resolving this issue is the prime agenda now, and everybody’s attention is on the steps President will take in the course of the next few days/weeks. Three actions involving attitude, strategy, and ability will be worth following in this context. 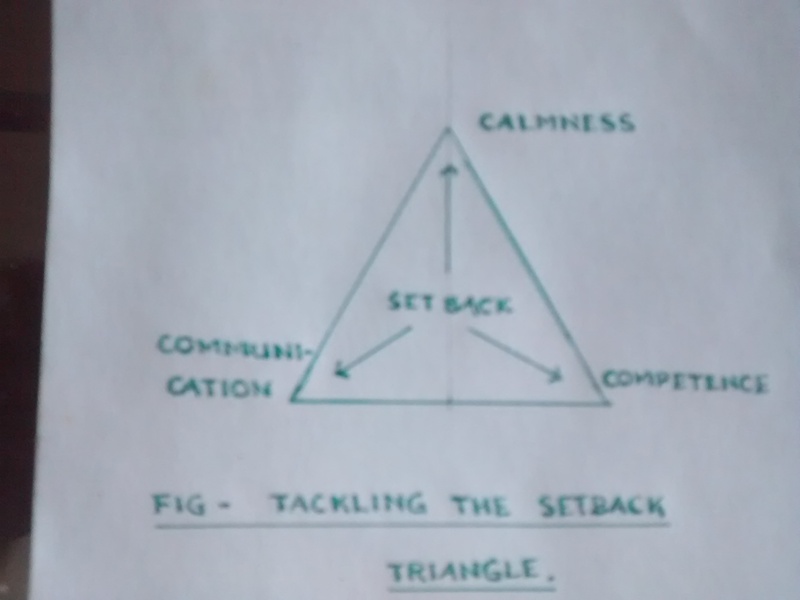 The figure below presents this in the form of a triangle ‘Tackling the setback triangle’ : Calmness, Communication, and Competence constitute attitude, strategy, and ability respectively. (a) Calmness : This refers to making one’s act set in order and remain self possessed. President Donald Trump had a jolt of his own. He is facing difficulties on this issue, and the first thing he should make people know is that ‘he accepts it’. He has done it swiftly and smoothly after some unexpected tweets. It could not have been other than what we witness now. Yes, anger and disappointment to a large extent had overwhelmed him initially to react in ways blaming the judiciary. His critics have been quick to question his mental and emotional adequacies to lead. It is more than a challenging situation for any individual. What he urgently needs is a confidant with whom he can freely discuss (he sure has more than one in the WH), and the reassurance of a good plan/argument inducing strong faith in him. His decision not to appeal in the SC is indicative of the support he enjoys on this aspect too. His temperament and character for the next few days or weeks will possibly display the right composure without much ‘tweeting’ in a way soothing the feelings of his agitated critics and opponents. Even little success on this will be emboldening. (b) Communication : This refers to making the public get the right picture and benefits of his order. For this to be effective his team needs to project the right arguments (good points from lawyers) through a communication strategy that is capable of enhancing the confidence and morale of people and his staff, setting aside any panic or any speculative scenarios spreading. Keeping people know the truth in a way they will understand without being tendentious is the key here. It is in effect a ‘propaganda strategy’ frequently harped on and tried/used in politics and business when the going gets tough. President’s team is already on the move. (c) Competence : This refers to making a plan with alternatives to overcome the setback. The plan requires getting suitable arguments that’ll remedy the implementation process and control of the situation and bring up the right perspective to the task and the goal of national security. It is important that people are made to realise the value of his ‘order’ that can elevate the strength and morale of people as a nation to work better. That the ‘order’ is to support and do the right thing for people safety while making a perceptible difference in governance has to be felt strongly by the people with the accomplishment of the task. President’s words of not ruling out a ” New Executive Order” is again indicative of his conviction in this regard. Conclusion : The Court Order suspending the travel ban is a sure setback for the President. The situation also provides an opportunity to people to measure how he solves the problem as a leader. Mental injuries take time to heal and overcoming this setback will certainly take time. This may well succeed in putting his actions to slow down a bit. All he needs is just a small success once in any of his actions to dispel the cloud overlying his disappointments. He’ll now change his mindset to fit the ball effectively. When he finds the right solution and successfully comes out of the present adversarial moment, he’ll strengthen his position further. It is in fact a potential opportunity rather than a drawback. Peoples’ faith in him will grow; his credibility will rise; and he’ll be viewed as a better leader. His vision and mission for the nation and for any kind of ‘change’ that he stands for will get a facelift. The present setback to the President is as much a ‘chance’ to demonstrate his competence as it is to establish himself as an effective leader is the position I take here.